Here is the Easter card we will be sending out to our family and friends this year. 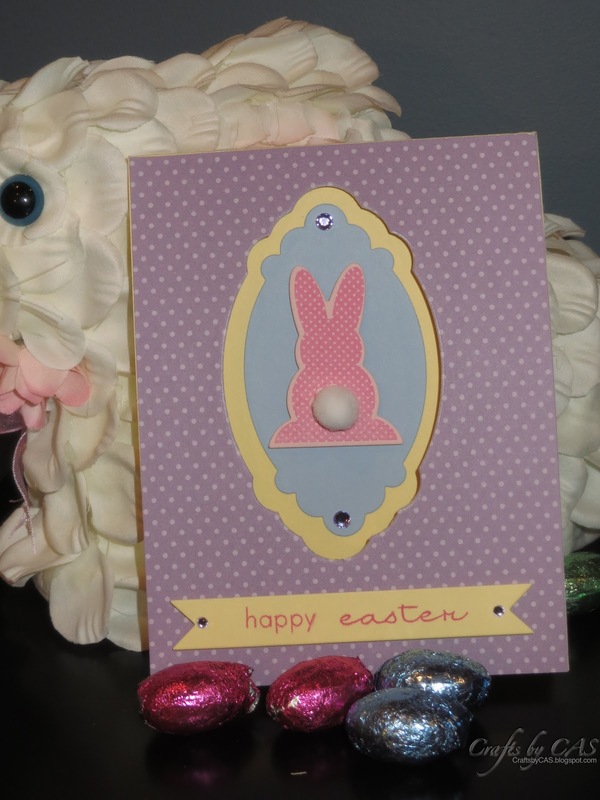 I adore the little bunny in the new Polka Dot Parade stamp set from Papertrey Ink. Leftover pom poms from the tops of my snowmen gift tags (here) were prefect for the little bunny's tail!